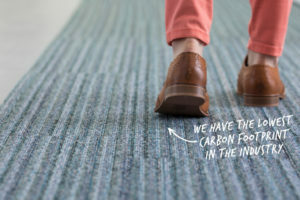 Founded in Denmark in 1872, the company has a long history of collaborating with leading international designers to bring their visionary concepts to life – and to the spaces they help transform. 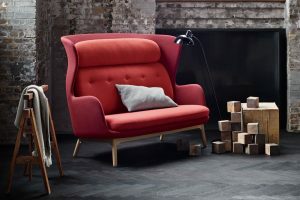 Fritz Hansen’s highly distinguished Classic Collection comprises a number of the most iconic pieces of furniture from renowned Danish architects and designers, including Arne Jacobsen’s Egg™, Swan™ and Series 7™ chairs and Poul Kjærholm’s PK22™ chair and PK80™ daybed. 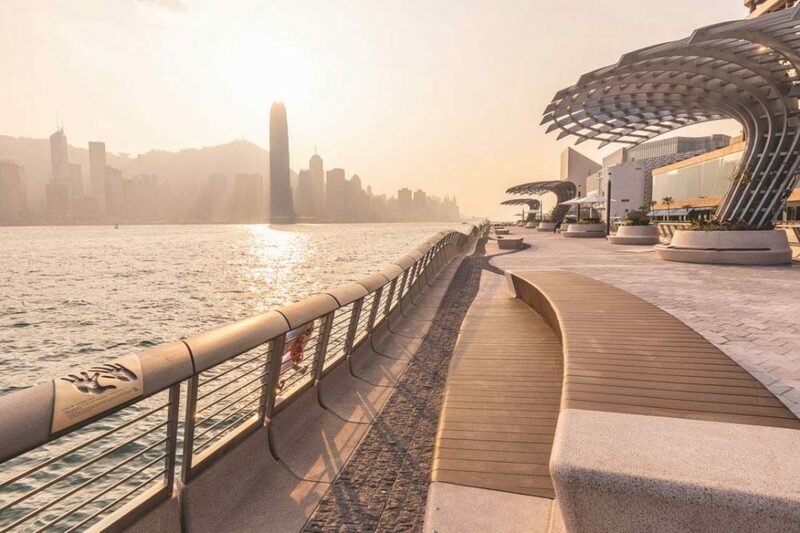 The Contemporary Collection features new furniture and accessory designs from some of today’s most inspiring, internationally recognized modern designers, including Jaime Hayon, Piero Lissoni, Kasper Salto and Cecilie Manz. Common to the two collections is a sculptural artistic expression that blurs the lines between design and art and unites function and form in unprecedented ways, giving each work significant presence and purpose. The Danish-based lighting company Lightyears has been part of Republic of Fritz Hansen since 2015. Working closely with internationally recognized designers and architects, Lightyears develops and manufactures high-quality, modern lighting that unites tradition and innovation, continuing Fritz Hansen’s proud traditions of exquisite craftsmanship, quality, and timeless design. Today as in 1872, Fritz Hansen’s work is guided by the philosophy that a single piece of furniture can beautify an entire room or building – and heighten the well-being of the people who inhabit these spaces. With an international presence and an ever-expanding collection of iconic designs, Fritz Hansen continues its journey of creating elegant, human interior design essentials that never compromise on comfort, and to strengthen its place in the global design, luxury and lifestyle elite. 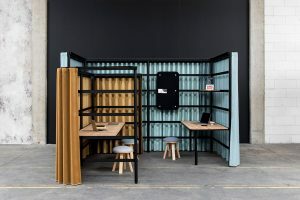 From phone booths and fully-enclosed systems through to high-backed desking options and chairs – here are eight of the latest furniture pieces that promote privacy in a new age of workplace quietness. 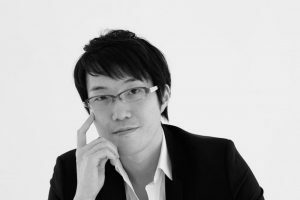 Oki Sato of Nendo talks about N01, his first collaboration with Fritz Hansen, and the brand’s first all-timber chairs since Arne Jacobsen’s. 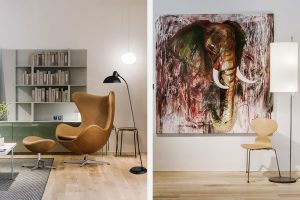 The Egg, the Swan, and the Drop – three of Fritz Hansen’s most iconic chairs turn 60 this year, and the brand celebrated the milestone with collaborative installations, fabulous parties and limited anniversary editions. Bigger, better and more experiential – The House of W. Atelier invites you to step inside an immersive luxury home setting courtesy of Fritz Hansen, SieMatic and a host of carefully curated brands. 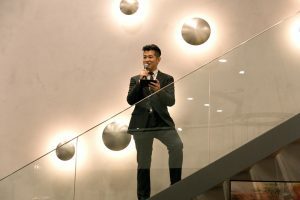 What are the most important sites for retail today – the physical store, the online store, the pop-up, social media, or a mix? 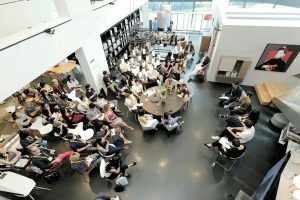 We investigated with a Design Conversation about retail design at W. Atelier. #SGID17: Did You Make it to All of Our Showrooms? One day, nine hours, nine venues – did you make it to the nine stops along our three #SGID bus routes? 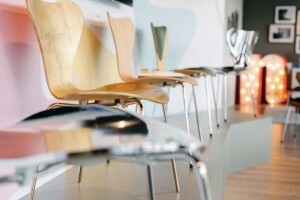 Jaime Hayon’s Ro Chair for Fritz Hansen is a perfect place to decompress. 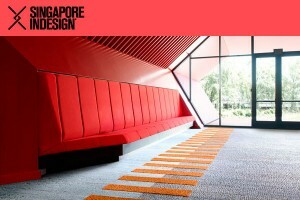 Recently launched as a sofa version, now it accommodates two! 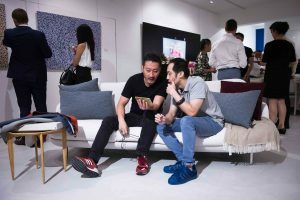 W. Atelier celebrated the opening of its flagship showroom with an evening of entertainment featuring a live demo from a Michelin-starred chef, graffiti art and generous lucky draws sponsored by premium brands. 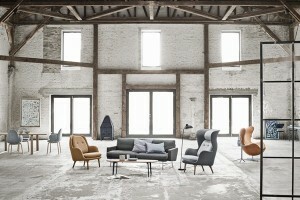 W. Atelier and the Republic of Fritz Hansen celebrated the launch of Jaime Hayon’s Lune Sofa at Art Porters gallery. The consensus of the evening? Lune feels just right! 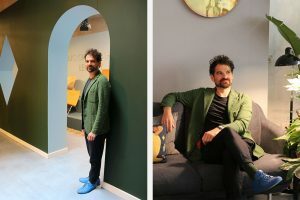 Comfort, softness and openness characterise the new Lune modular sofa, which was unveiled by Republic of Fritz Hansen in a hotel-themed space during Milan Design Week. 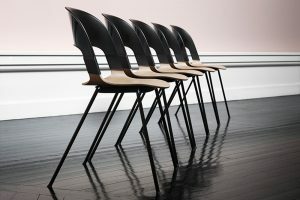 You would think 8,000 variations would be enough, but Fritz Hansen together with British designer Benjamin Hubert have just unveiled a new extension to the super adaptable Pair chair. 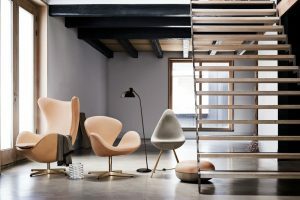 Three years in the making, the Pair chair by Fritz Hansen and Benjamin Hubert of Layer is ready to take the market by storm with over 8,000 unique seating possibilities. 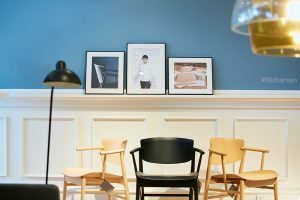 At this year’s Milan Design Fair, Danish furniture brand Fritz Hansen accompanied the release of a new dining and lounge chair by Jaime Hayon with a softer, more welcoming showroom feel. 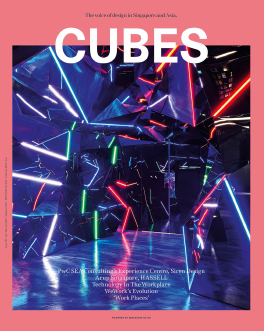 Indesign managing editor Lorenzo Logi caught up with the Spanish designer on the occasion. 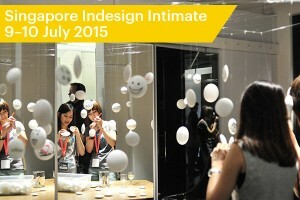 A variety of brands ranging from furniture, lighting to finishing will showcase their latest products at the National Design Centre (NDC) for Singapore Indesign Intimate from 9 – 10 July 2015. Seven locally based designers and architects interpret the iconic 1955 Fritz Hansen Series 7™ chair designed by Arne Jacobsen. 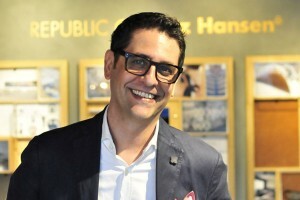 Dario Reicherl, Fritz Hansen’s Vice President Asia Pacific, tells us how the opening of the Danish company’s first flagship store in Singapore is a sign of greater things to come. 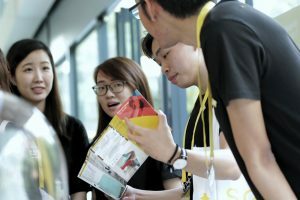 In the Dhoby Ghaut/Bras Basah precinct, big names in the design industry like Bulthaup, Herman Miller, Magis, Artemide, Anglepoise, Fritz Hansen and Interface are all getting in on the action. 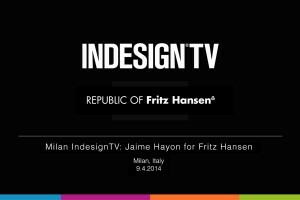 In IndesignTV’s exclusive interview, Hayon demonstrates his passion for the fruit of this collaboration and the details of the ‘Analog’ table, providing a glimpse into the objectives and considerations that formed this uniquely modern and flexible piece of furniture.